With over 170 million active users, Twitter has firmly established itself as the leading microblog platform. For the traveler, Twitter can play a useful part at each phase of the guest experience. It can be used as a tool to learn more about the destination pre-stay, a means to discover ongoing specials and events during his/her time on-property and an opportunity to stay connected with and informed by the property long after the visit has ended. Accordingly, Twitter has truly emerged as an integral marketing tool in the social media toolbox that can extend both the reach of your brand’s message and authenticity of your reputation. Schedule Your Tweets –Tweet Concierge now allows you to schedule your tweets in case you don’t want to be tied to your screen in the evenings and on weekends. Of course, Revinate will monitor and track all your Twitter activity, regardless of the Twitter client you use, so in addition, low-cost applications like HootSuite, TweetDeck and Buffer App may be worth a trial, as they provide auto-scheduling functionality (allow for scheduling your tweets at optimal engagement times) and are convenient for tweeting on-the-go from a mobile device. These features are especially important when you’re looking to visually capture behind-the-scenes looks at your hotel or restaurant’s operation in real-time or, more importantly, maintaining an active social media presence on the weekends when social media activity remains significant. Utilize #hashtag searches – Twitter.com, in addition to the services mentioned above, allows you to search for and save hashtags from both your desktop and mobile application. As a hospitality professional, you may want to do a hashtag search when attending a conference or event (so your tweets are tracked as part of a conversation) or include them in your hotel or restaurant’s tweets when speaking about a particular topic (#amenities), neighborhood (#UpperEastSide) or interest (#dessert). Try out Advanced Search – Twitter’s revamped search function can further assist you with identifying users and content that may be relevant for your hotel or restaurant to engage with. The search feature allows you to filter results by specific words, accounts or locations, which may provide useful if you are looking to engage with similar users that follow, for example, your local destination management company (DMC) or convention visitors bureau (CVB). Visit the Discover page – The microblog’s Discover page offers a helpful way to uncover compelling re-tweetable content that you may have missed by showing you what content your followers have shared, favorited and re-tweeted. The discover section also allows you to explore the browse category, which is extremely helpful when looking to follow travel-related brands, thought-leaders and small businesses. Limit Your Tweet’s Length – To ensure that your content is most shareable, limit your tweet’s length to 100-120 characters. Nothing is more annoying to an active tweeter than when a message is not easily re-tweetable (RT) due to its maxed-out length. By limiting this length, you allow your user to share the content easily, add a comment to your message and ultimately give your content the best chance at maximizing its reach. Love the URL Shortener – Building on of the previous tip, it is imperative that you utilize a URL shortener when creating your tweets to ensure you maximize the limited Twitter message real estate. Each of the tools in Step #1 also provide some handy click data information on each of your tweets, which can help you identify as a marketer which kind of content your audience is most interested in. For example, you may find after analyzing a month’s worth of tweets that a list of your concierge’s area recommendations was more popular than a photo of a new menu item. This kind of intelligence will be useful when putting together your content strategy in future months. Organize with Lists – In addition to Twitter’s discover page, creating lists on Twitter is a handy, if a bit time consuming, way to organize and segment your followers that have specific areas of focus. In the hotel and restaurant context, this could mean putting together specific lists of followers that you would like your brand to engage with (e.g. food bloggers, past guests, travel writers) and can be used to optimize engagement with each focus group. 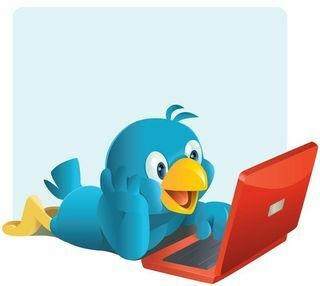 Maintain a Balance – While it’s important to engage in real-time on Twitter, inundating your followers with a barrage of tweets consecutively is a sure-fire way to diminish your influence. By scheduling some tweets in advance and incorporating some public replies into the mix, you will maintain an ideal conversation balance that is compelling yet not annoying to your network. Use Hashtags Judiciously – Even though the hashtag (#) can certainly be a helpful way of identifying new users that your brand may want to engage with, overusing them in your tweets without purpose will be just as detrimental to your Twitter effectiveness as an overlong tweet. When sending out a tweet, limit the use of hashtags to no more than three (one to two is most typical) and be sure that you are tagging appropriately. To learn more about how small businesses can leverage the hashtag, check out this recent Mashable article. Mix Up Your Content – As mentioned previously, the best rule-of-thumb with Twitter is finding a balance. This applies not only to the frequency of your posts, but also in terms of the kind of content that you decide to share. While there is no finite formula that will yield you optimal engagement levels, visual posts – whether that means sharing photos or video – typically receives higher levels of shares. With the emergence of Instagram as a tremendous photo-sharing application, a marriage between the two is a perfect union in the travel space where photos are paramount.